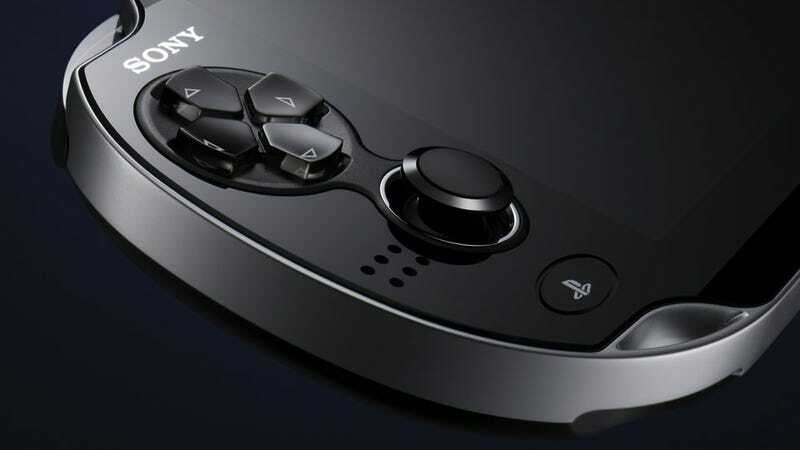 Are There Not Enough PlayStation Vitas to go Around? The signs were there for Sony. This year's Tokyo Game Show was shaping up as the biggest ever, and its new Vita handheld would be many people's main attraction. Why, then, did the company do such a poor job of actually letting people play the thing? We've told you how ridiculous the lines for the PlayStation Vita titles at TGS were. Basically, if you got there after 11am (the show only opened at 10! ), you weren't going to be able to get your hands on one, even though the show was open until 5:30pm. Why? It's simple mathematics. Over 220,000 people attended the Tokyo Game Show in 2011. And how many Vita units did Sony have on-hand? Compounding this shortage was the fact the handhelds were only available at Sony's booth; unlike the 3DS, which was playable at the stands of several big publishers like Konami and Capcom, all the Vita handhelds were crammed into Sony's setup, which with labyrinthine chains and oppressive heat wasn't the best place to spend your weekend. Eighty may sound like a lot, but when you're shutting your lines down for the day before lunch time, it's nowhere near enough. Leading me to wonder if Sony did one of three things: they simply underestimated demand (unlikely), they kept numbers small to keep demand at fever-pitch (reasonable) or, as I think is most likely, they just didn't have enough of the things to go around. The first possibility doesn't seem likely. With Microsoft's irrelevance in Japan and Nintendo's absence from the show, TGS is Sony's stomping ground regardless of the year. With new hardware, playable by the public for the first time, everyone from Kaz Hirai to the guys cleaning the toilets at Sony HQ would have known Vita would be the show's top draw. The second possibility is that Sony employed a tactic that's often used by video game companies. Indeed, Nintendo was accused of it often during the early boom days of the Wii. It would have you believing that Sony knew the Vita lines were going to be crushed and made sure that there wouldn't be enough of the handhelds there for everyone to play. The thinking being that a lack of supply creates an increase in demand. The less people could play the Vita, the more they'd want it. That's certainly possible, but I'm leaning towards the last possibility: that Sony simply doesn't have enough Vita handhelds completed and operational at the moment to properly promote the launch. When myself and Brian Ashcraft went out into the middle of Tokyo Bay last week, we were there with around sixty other foreign (ie non-Japanese) members of the gaming press, and we were there to play Vita games. When the time came for the Vita games to come out, only around six units emerged. Half of these were dev units which we couldn't film. Another unit, promised to contain Ultimate Marvel vs Capcom, didn't even make the boat. Leaving sixty people to fight it out for six Vitas. This wasn't the showroom floor, this was a press event. When Sony couldn't even get enough units together for promotion at an event designed to let us play games away from the madness of the showroom floor, it set some quiet, gentle little alarm bells ringing. That maybe the reason Sony was having to scrounge together dev kits and literally take units off the showroom floor was because there's simply not enough to go around. While this may sound alarming, remember, the Vita is only launching in Japan this year. And there's a very good reason for this, and for most other staggered hardware releases: it's expensive and difficult getting enough units together for a worldwide release, so sometimes —as with this case—things have to be spread out. Let enough Vita units roll off the factory floor for Japan, then move onto the West. The PlayStation Vita launches in December in Japan. That's less than three months away. The Tokyo Game Show was the one and only chance for Sony to let people in Japan get their hands on it before release, and in the end, most people didn't get their hands on it. Even we couldn't get to all the Vita games we wanted to. Hopefully for Sony's sake that won't matter. Hopefully for anyone attending the upcoming Eurogamer Expo has better luck. Hopefully the buzz surrounding the Vita is enough to get people excited in the thing. Because if they had to rely on people actually trying before they buy, they'd be screwed.